Minnesota stowaway's dad: "We assumed that he was at a friend's house"
The father of a 9-year-old boy who skirted past airport security and traveled from Minneapolis to Las Vegas last week said Wednesday that his journey started by taking out the trash. The father, who wouldn't give his name and concealed his face behind the closed hood of a black sweatshirt and a pulled-down baseball cap, told reporters in Minneapolis that the boy said he was taking out the trash when his mother came home and the father left to run errands Oct. 2. "I'm a parent; I'm not perfect," said the man, who became emotional several times during the press conference. "We assumed that he was at a friend's house." On Thursday the parents learned that their son wasn't with any of his friends, the father said. "We didn't know he got on a plane until my fiancee called the police," the father said. He chided the Transportation Security Administration for letting his son through the security checkpoint. "How would you let a 9-year-old child go through security check without stopping him and questioning him?" said the father. "He's not a terrorist. He's a 9-year-old child. He boarded the plane. How is that possible?" The TSA and Delta Air Lines told CBS Minneapolis station WCCO-TV they are reviewing videotape of the child and are investigating whether they should make changes to security and gate protocols to prevent another incident. 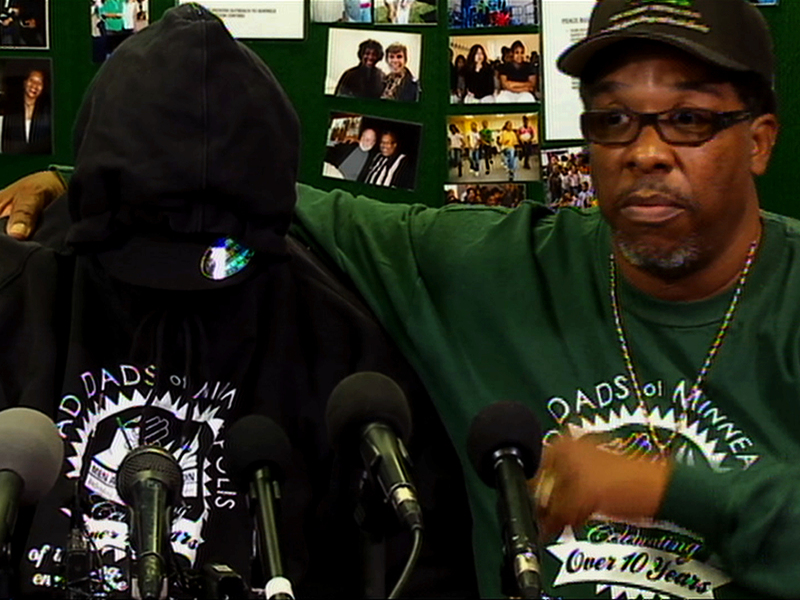 VJ Smith, who accompanied the father from the organization MAD DADS in Minneapolis, told reporters that he expected the boy to be returned home to his parents Friday. Smith read a statement from the boy's mother, who was not at the press conference. "I love my son," Smith read from the statement. "I miss my son. I want my son home." The father acknowledged his son's past troubles, which most recently include being accused of stealing a utility vehicle from downtown Minneapolis and a bag from baggage claim at Minneapolis-St. Paul International Airport, where he was also accused of not paying for a meal of chicken tenders and a soda at a restaurant. "When he damaged those cars, I didn't know what was going through my son's head," the father said. "I just hoped and prayed that nobody get hurt." The father also said that his son had been suspended from school for fighting. The father said he has begged authorities for help with his son but wasn't provided any because he is a minor. When he said he suggested to a police officer that he should punish his son physically, the officer told the father that he would be arrested. "If I whoop my son, I get locked up," the father said. "If I let my son keep on doing what he's doing, I get in trouble. Somebody please help me. Please." Smith said Wednesday that the Hennepin County Human Services and Public Health Department has since offered to help the family. There have also, allegedly, been four child protection assessments conducted on the boy's family since last December, and staff members have labeled him a "challenging child," WCCO-TV reports.